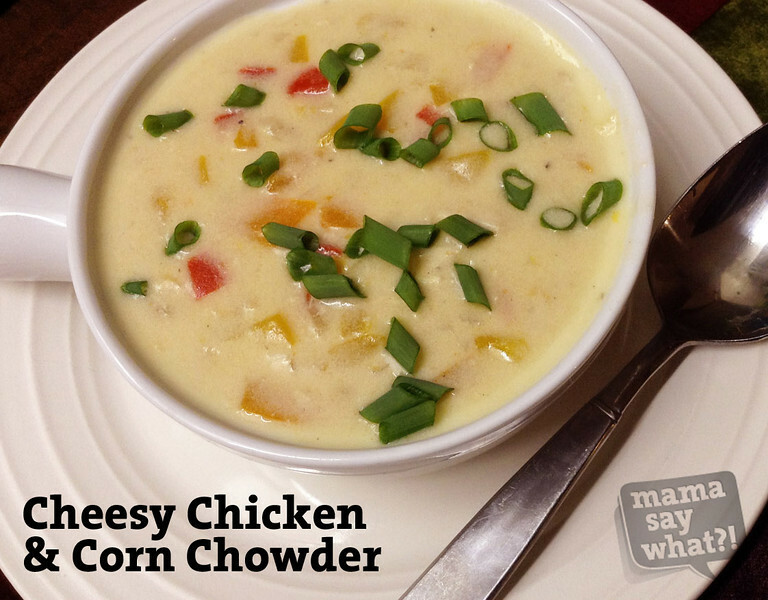 Cheesy Chicken & Corn Chowder Mama Say What?! | Mama Say What?! Fall to me means one thing: a HUGE bowl of soup for dinner. Soup is my favorite food, hands down, and I’ll happily eat it in any season and any kind of weather. But when there’s a chill in the air, a bowl of soup starts calling my name. 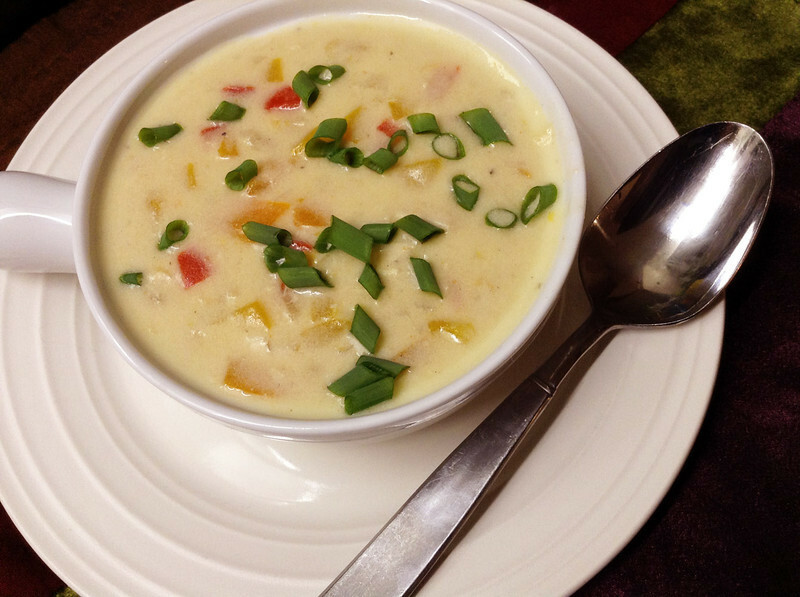 The inspiration from this soup came from The Pioneer Woman’s (Ree Drummond) Corn and Cheese Chowder, but I tweaked it quite a bit, so I’d really consider this my own creation. Not pictured: the potatoes in the pan. I’ve made this soup with and without potatoes and I love the potato version. But unfortunately, I photographed the non-potato soup. Melt butter in a large Dutch oven. Add onion and garlic and sauté for 4-5 minutes. 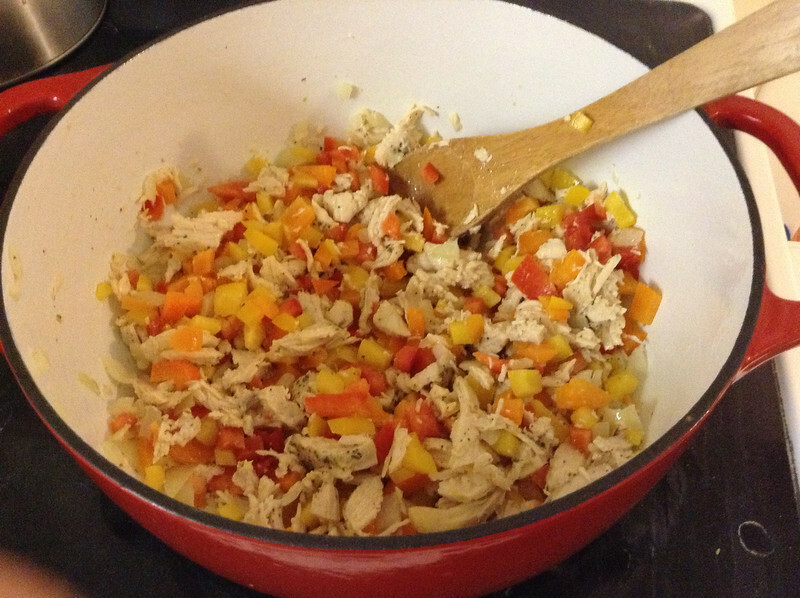 Add cooked chicken and sauté for a few minutes. Add the peppers and potatoes and sauté for a few minutes. Add the flour and stir well. Cook 3-4 minutes and allow the flour to cook and distribute. 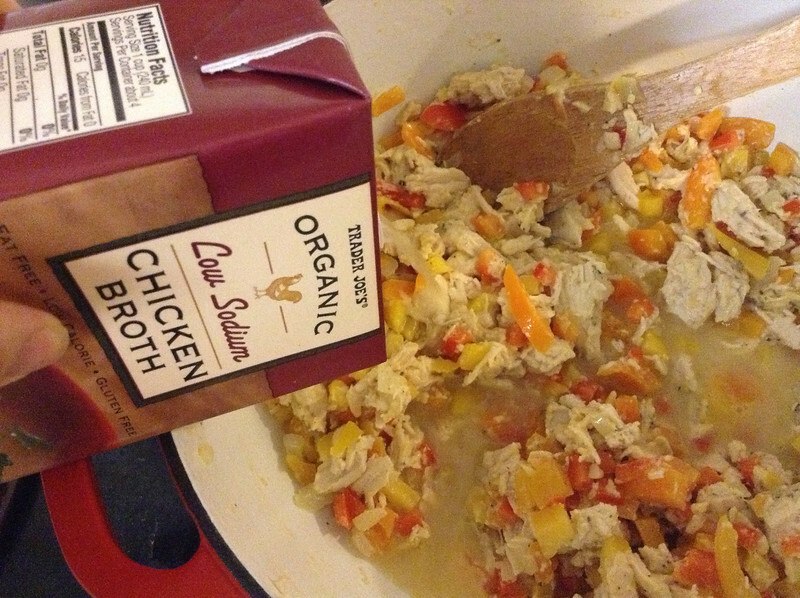 Add the chicken stock and stir. Let the soup come to a slight bubble to thicken. Add the half and half and spices and stir. Turn the soup to low, cover and simmer for 15 minutes. Check to see if potatoes are done. *Optional Step* Mix 1-2 tbsp cornstarch with cold water to make a slurry. Add to the soup and allow it 1-2 minutes to thicken. 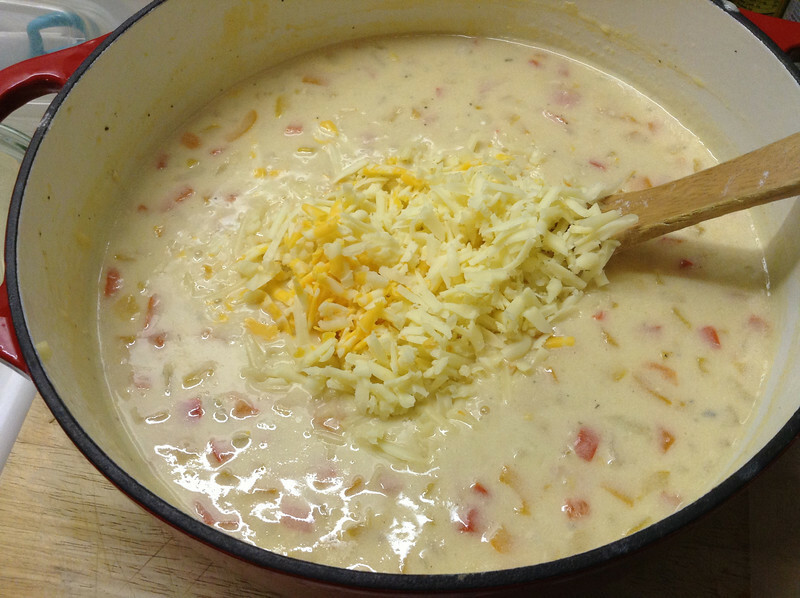 Add the grated cheese and stir to melt. 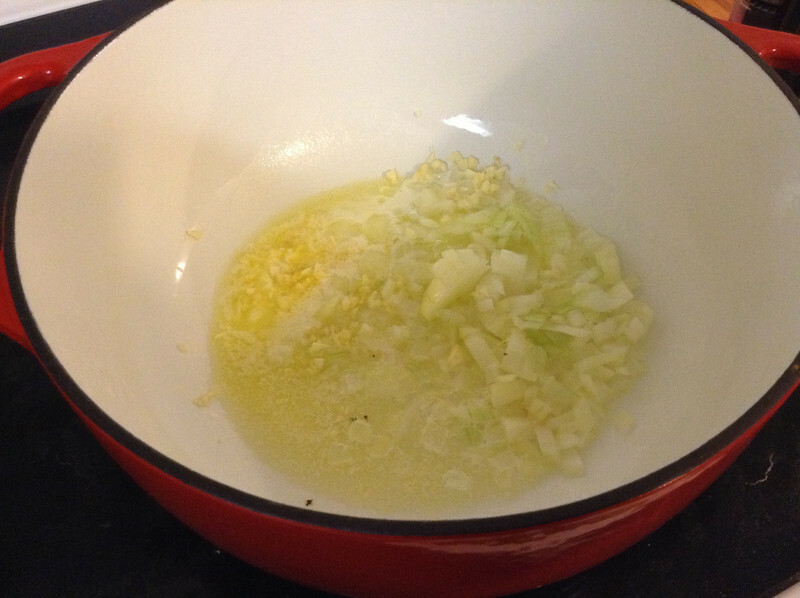 Ladle into soup bowls and garnish with scallions. This soup is creamy, hearty and flavorful. It’s the perfect meal on a cool fall day or a chilly winter night. Heck, I’d eat it in the middle of summer on a 90 degree day though too! Bon appetit mamas! 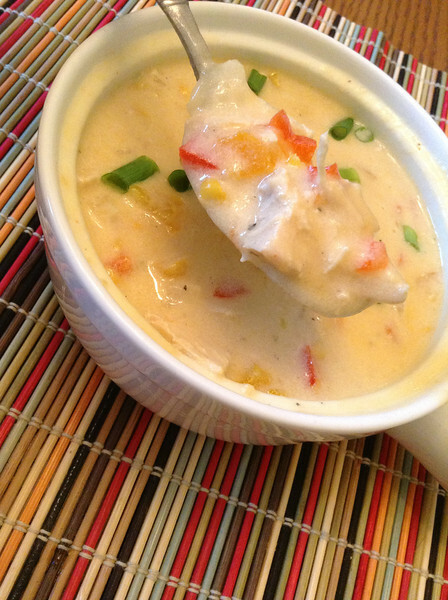 A creamy, hearty and flavorful soup for any time of year! 1. Melt butter in a large Dutch oven. Add onion and garlic and sauté for 4-5 minutes. 2. 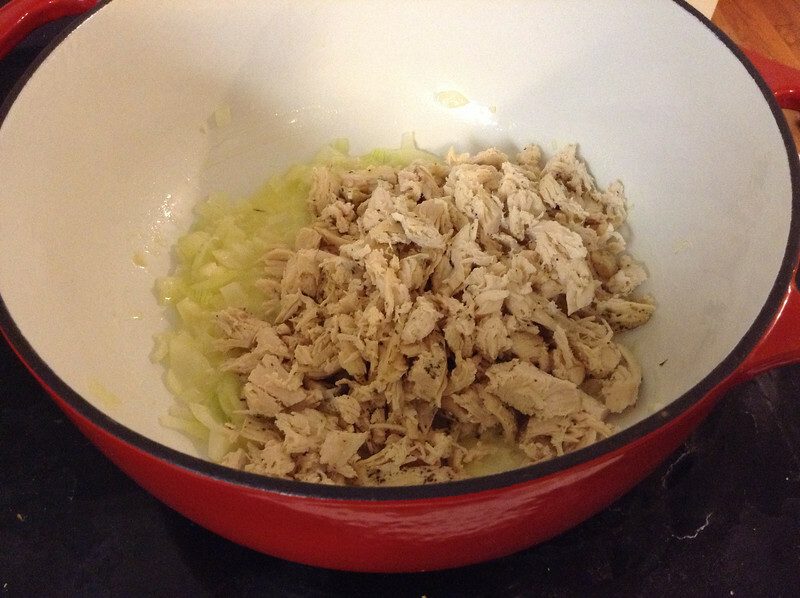 Add cooked chicken and sauté for a few minutes. 3. Add the peppers and potatoes and sauté for a few minutes. 4. Add the flour and stir well. Cook 3-4 minutes and allow the flour to cook and distribute. 5. Add the chicken stock and stir. Let the soup come to a slight bubble to thicken. 6. Add the half and half and spices and stir. Turn the soup to low, cover and simmer for 15 minutes. Check to see if potatoes are done. 7. *Optional Step* Mix 1-2 TBS cornstarch with cold water to make a slurry. 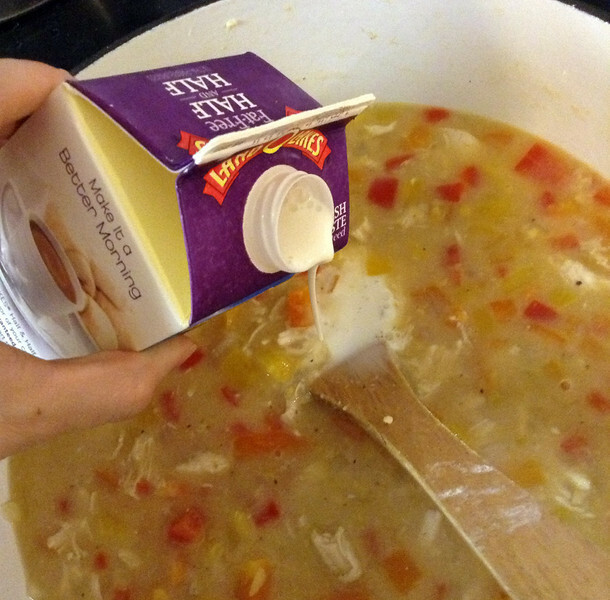 Add to the soup and allow it 1-2 minutes to thicken. 8. Add the grated cheese and stir to melt. 9. Ladle into soup bowls and garnish with scallions. Added by MaryEllen M. on January 17, 2014.